Inviting the Lincoln student community and anyone interested in finding out more about Grow 2019: Boma NZ Agri Summit and the future of food. 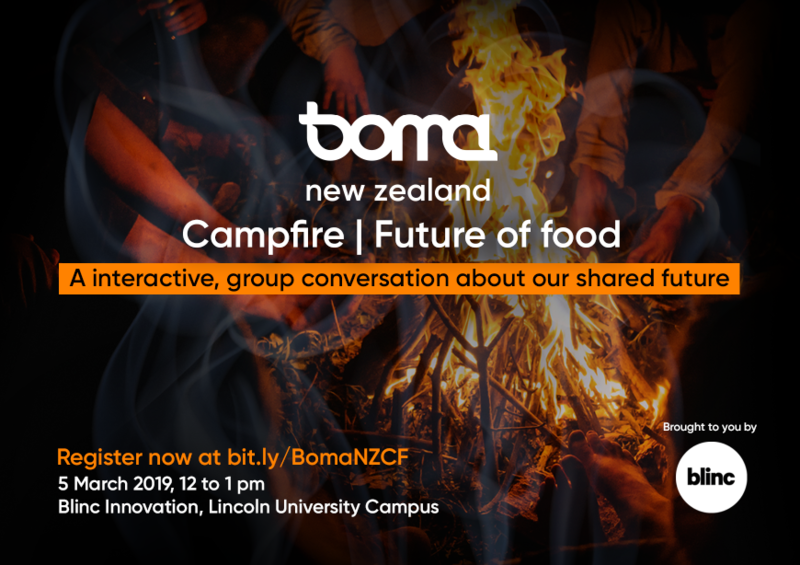 Our Boma New Zealand Campfires are an opportunity to engage in a community conversation on a single topic, affecting our shared future, so that we can be more intentional and intelligent about the future we’re creating. The next Campfire is set for Tuesday, 5 March 2019, to discuss the broad topic of "The Future of Food." Bring your burning questions, perplexing challenges, optimism, and/or wonderings—let's explore our future together!